Happy Monday and happy first day of Speech-A-Palooza!! 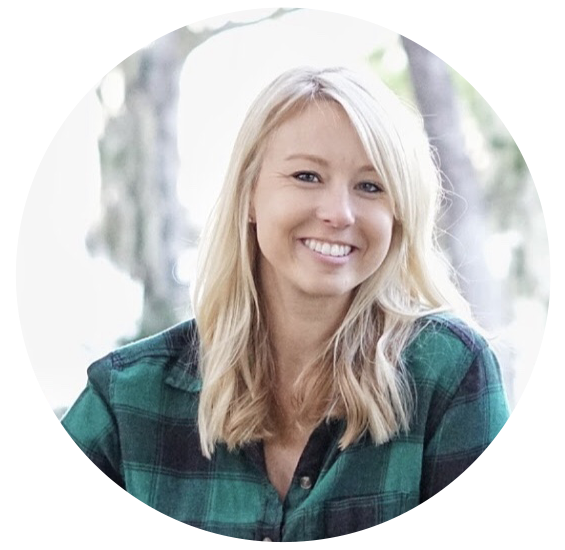 Today's guest post comes from Whitney Smith. Whitney is a school based SLP in Pinellas County Schools (just like me!) She is the author of the Let's Talk blog. If you have not already, check out her blog here! Take it away Whitney....! How many of you are dealing with RtI (Response to Intervention) as part of your jobs? Well if you haven’t heard, RtI is now being referred to as MTSS (Multi-Tiered Support System), because, you know, once we learn an acronym, the natural thing to do is change it! Believe it or not, SBLT is not a tasty sandwich! SBLT stands for School-Based Leadership Team, which is just what my county calls the team that gets together to discuss school data and those struggling students requiring help from the intervention (RtI/MTSS) team. I’m sure your school has a different name for this team. Anyway, since it looks like RtI/MTSS is here to stay and is becoming a large part of our SLP responsibilities, I thought I’d do a post on information on RtI/MTSS from my point of view! I realize that every state, and every county, and many times every school is different in how they go about RtI. This has been part of the problem in implementing it. In my particular county, they have realized the inconsistency and are working to develop a more consistent protocol. A small group of SLPs, me included, developed an RtI Workgroup. We meet once a month or so to work on a system for SLPs to help implement RtI. Through our research, we learned that many teachers did not understand the role of the SLP. If they don’t know what we do, they don’t request our help. Because of this, we developed a PowerPoint to share during a staff meeting to explain what we do and how we can help. We also discovered that many classroom teachers are asked to implement interventions for students, many of which are language-based interventions, but they don’t know where to begin. They know their student has delays, but they aren’t sure what intervention(s) to put in place. This is where the SLP comes in! In my particular school, I am part of the SBLT (School-Based Leadership Team) where we discuss struggling students and their needs. We discuss when to begin the RtI process and if there is a need for the SLP to be involved in the process as a consultant. Before we as SLPs got involved in the SBLT, we would all of a sudden receive consent to evaluate a student that we had never heard of before. Even worse, we would hear about a student who was in Tier 3 of RtI and was not making any progress. It was then that we decided that the SLPs might could (and should) help. Now, when a struggling student is brought before the SBLT, we make sure to rule out any language difficulties when we first initiate RtI. If there are no language concerns, we back out of that case. If there are language concerns, we address these in the interventions and make suggestions for possible interventions to use. 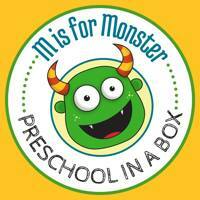 Most of all, we make sure to let the teachers know that we are here to help them if they need help. We don’t actually implement the interventions ourselves, but we show them where to turn. Now might be a good time to make a couple of acknowledgements. First, I acknowledge that being involved with these kids who are not “technically” on our caseloads means more work for the SLP. However, what it comes down to is that it is best for the kids. Second, I acknowledge that there are some SLPs out there who are doing a whole lot more than simply suggesting language-based interventions. In GA where I’m from, the SLPs are actually seeing the kids in RtI and implementing their interventions along with kids on their caseloads. Thus, they are seeing the kids as if they are on their caseloads, but not being allowed to count them in their numbers. 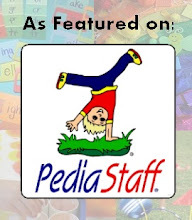 I am also sure that there are other SLPs out there who are doing other things that are not necessarily “in their job descriptions.” However, this is what we do. We wear many hats. We do what is best for our kids. We may not be able to do everything, but we do everything we can. 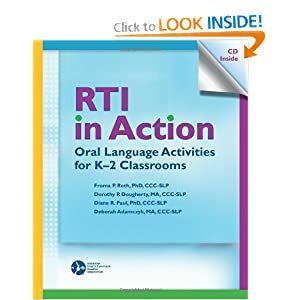 Whatever your role in RtI may be, I encourage you to get involved in helping suggest language-based interventions for your classroom teachers. Another very important part of what our RtI Workgroup is working on is a book of interventions (and progress monitoring tools) to give our SLPs for the different strands of language. This way, when a student is struggling with, say, syntax, they can flip to the syntax section and have at their fingertips an array of interventions and progress monitoring templates to give to the teachers. It is crucial that the classroom teachers know we are there to be team players and assist them when we can. I am very interested in hearing from you on this issue. How are you involved with the RtI/MTSS process in your school? What questions do you have about RtI/MTSS? Do you have any interventions that you have found have really worked? Please email me at: whit.smith.1987@gmail.com. Thanks so much for having me, Kristin, and thanks so much to all of you for reading! I agree. I try to give teachers strategies but they don't understand or they are overwhelmed so I end up working with them on my caseload. Thankyou! In my system, the SLP role in rti is inconsistent. At my school, I have Tier 3 reading intervention groups. Most of our other system SLPs are not doing tier 3 yet. In my district, the SLP is involved in meetings to discuss student concerns and developing interventions for teachers to implement. SLPs in my area are so overwhelmed with our caseload that we can't really serve rti kids.